Comcast has passed 30 million customer relationships, mostly from adding new broadband customers that continue to disconnect from phone company DSL service. 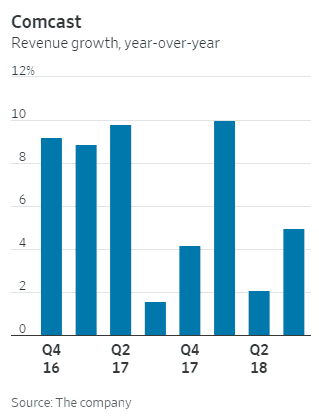 In the last quarter, Comcast added 363,000 new broadband customers, a number the company calls its best third quarter subscriber add in 10 years, growing revenue by almost 10%. High-speed residential and business internet service are among Comcast’s highest-margin businesses. Combining fast growth with sky-high profitability, Comcast boasted its broadband revenue is now the largest contributor to the cable company’s continued overall growth, reaching $4.3 billion this quarter, an increase of 9.6%. Comcast CEO Brian Roberts praised Comcast’s achievement of rolling out gigabit download speed to more customers than any other telecommunications company in the country. 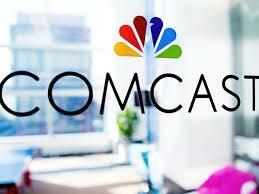 Roberts claims Comcast will continue to build many of its future products and services around its broadband platform. Comcast’s growing reliance on broadband products comes at the same time it faces additional cable television cord-cutting activity. Cavanagh blamed online video streaming competitors like Sling TV and DirecTV Now for poaching its “low value” subscribers, admitting Comcast lost at least 95,000 net residential video customers in the last three months.